McHi freshman Selena Saenz (15) and senior Damaris Llanas (2) celebrate after the Bulldogs swept McAllen Rowe on Tuesday in District 30-6A volleyball at McAllen Rowe. When McHi and McAllen Rowe met for the first time in district play this season, the Bulldogs won the first set before Rowe took control and captured the next three. The two teams met again on Tuesday at McAllen Rowe. 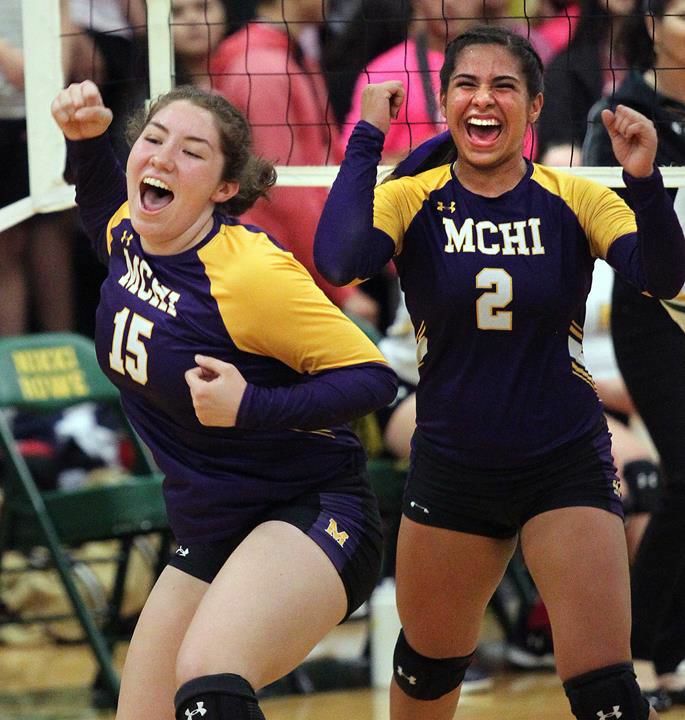 Once again, McHi jumped in front with a first-set victory, but that’s where things changed from the previous meeting.